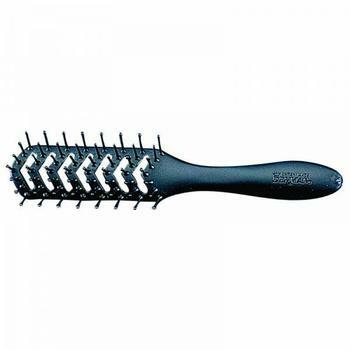 Vent Brush Vent brush with soft and flexible ball-tipped pins. Hygienic one-piece mould avoids dirt-traps for added hygiene. Lightweight and comfortable to use. Ideal for: Safely detangling wet hair and for creating volume and movement during blowdrying.